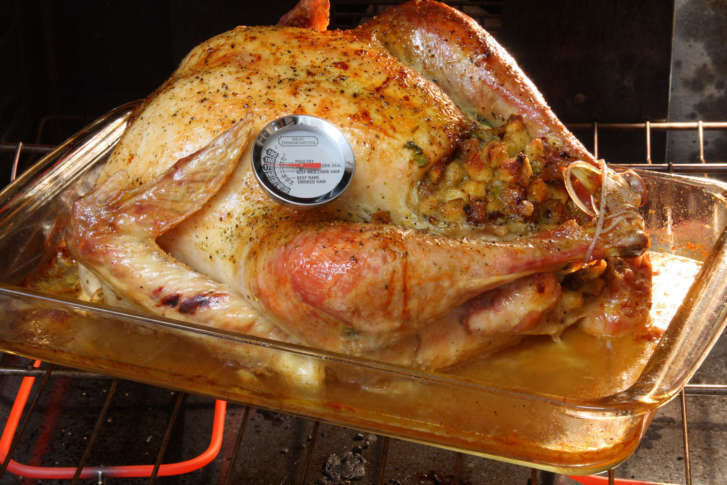 Thanksgiving is the biggest day of the year by far for kitchen fires, the pros say. Find out what you're up against and what to keep in mind to stay safe. WASHINGTON — Fire prevention experts are urging everyone who plans to cook a Thanksgiving meal to stay safe and keep their attention on the kitchen. The National Fire Protection Association said the number of cooking fires around the country typically spikes on Thanksgiving by nearly 250 percent. But if you do plan on using a turkey fryer, Davies recommends keeping the fuel source at least two feet away from the oil, keeping kids and pets at least three feet away from the fryer and keeping the fryer at least 15 feet away from houses, trees and fences. “Certainly do not use them inside a house,” he said. Never leave food cooking on the stovetop unattended, especially when frying and sautéing with oil. Stay in your home while the turkey is cooking and check on it frequently. Use a timer to keep track of cooking times, most notably when simmering, baking or roasting foods that require longer cook times. Check the stove or oven frequently. Consider putting timers in different rooms so you can hear them over music and party chatter. Keep things that can catch fire, such as oven mitts, wooden utensils, food wrappers and towels at least three feet from the cooking area. Push up shirt sleeves and avoid wearing billowy clothing that may come in contact with open flames or other heat sources. Avoid cooking when drinking alcohol or using other substances, or if you’re sleepy. Make sure children stay at least three feet away from all cooking areas, hot food and liquids to avoid burns.